Helping heal damaged tendons and ligaments. 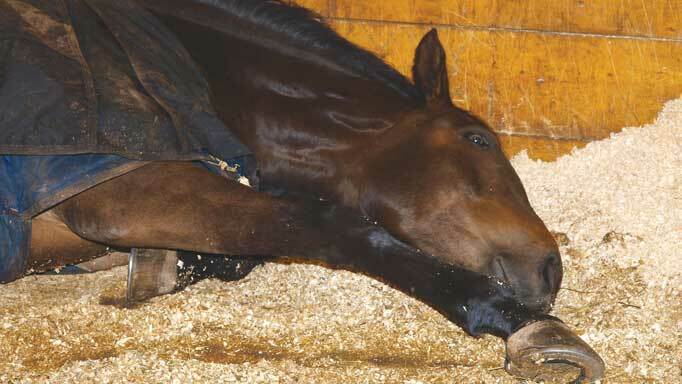 Has your horse gone lame after a slip or stumble? There’s a pretty good chance he’s hurt a ligament or tendon in his leg. Soft tissue leg injuries are the most common cause of equine lameness. 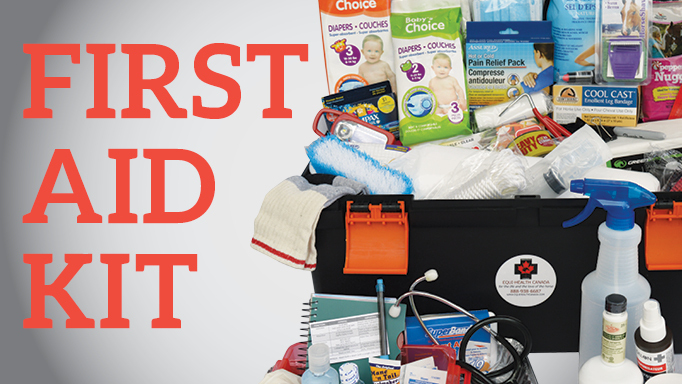 Unfortunately, they also usually take a long time to heal and are frustratingly susceptible to re-injury. “Horses have highly developed tendons and ligaments, which allows them to have the athletic function that they do,” explained Dr. Melanie Tuplin, an associate veterinarian at Delaney Veterinary Services in Sherwood Park, Alberta. After her 2017 graduation from the University of Calgary Faculty of Veterinary Medicine, she interned at Virginia Equine Imaging where she focused on sports medicine and imaging. Tendons connect muscle to bone and work as “biological springs” by absorbing and releasing elastic energy as the horse takes a stride, said Dr. Tuplin. Ligaments attach bone to bone and essentially stabilize joints. Both tendons and ligaments are primarily composed of parallel bundles of a strong, dense connective tissue called collagen. Despite flexibility and an ability to withstand great force, these fibres have breaking points. When stretched beyond their capacity – usually due to a combination of exercise and age – the collagen bundles tear. A horse carries about 60 to 65 per cent of its weight on its forehand, therefore, the tendons and ligaments of the front legs tend to suffer injury more often than the hind legs. Although any tendons or ligaments in the limbs can be damaged, those that perform the majority of biomechanical work are more at risk. The superficial digital flexor tendon, is particularly vulnerable. A long cable-like structure, it runs down the back of the leg from above the knee (or hock in the hind) and connects the short pastern and coffin bones. It’s mainly responsible for flexing the lower leg. A bowed tendon, with its tell-tale outward curved swelling at the rear of a front leg is, in fact, a torn superficial digital flexor tendon. The underlying deep digital flexor is the runner-up in the damage department. 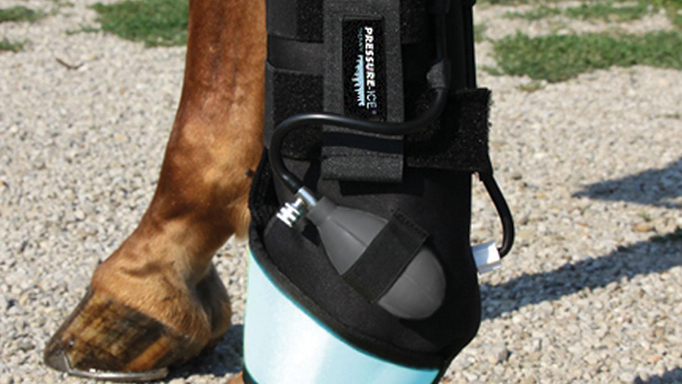 It also serves to flex the leg and provide support, especially to the fetlock. As for ligaments, the suspensory is the most-often injured. It lies along the back of the cannon bone, originating from just below the knee (or hock) continuing down to the fetlock. The suspensory ligament stabilizes the leg under full weight-bearing load and supports the fetlock. 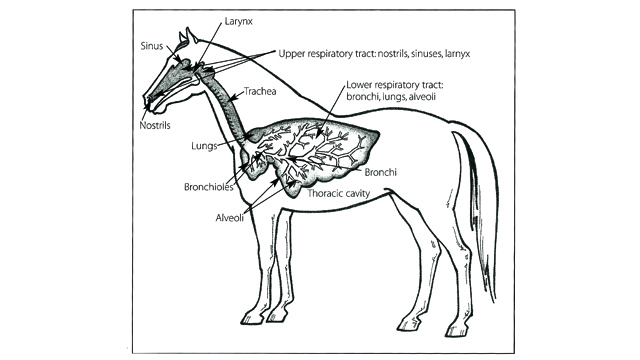 Usually soft tissue injuries trigger heat, swelling and lameness. But not always, warns Dr. Tuplin. Rest and keeping the horse quiet is also critical in preventing further damage. Standing wraps will support the affected and supporting limbs. Further diagnostic imaging can include nuclear scintigraphy, or bone scanning, to provide a “roadmap for complex lamenesses” and magnetic resonance imaging (MRI), which is often used to detect soft tissue injury in the foot and within the hoof capsule, Dr. Tuplin noted. Surgery may be an option in some instances. Tendon splitting, which involves making small cuts into the damaged area, allows drainage of inflammatory fluid, encourages blood flow and aids in generation of healthy tissue. Inferior and superior check ligament desmotomies are also fairly common procedures. These involve cutting the particular ligament to essentially reduce strain on its associated tendon. If an owner can’t afford or access regenerative therapies or surgery, rest, cold therapy and controlled exercise – an important part of successful rehabilitation – are, in most cases, enough to yield a successful outcome. Movement through controlled exercise not only gets the horse back in shape, but encourages formation of collagen. A veterinarian should oversee any back-to-work regime, which will begin with a few minutes of hand-walking and gradually building up the duration and intensity until the horse can be ridden. Once under saddle, workouts will, again, be low impact with an incremental increase in length and difficulty. Turn out during this time should also be limited and monitored. She suggested that owners consider sending their horse to a rehabilitation centre if they don’t have the facilities, time or patience to bring the horse back into work slowly and safely. 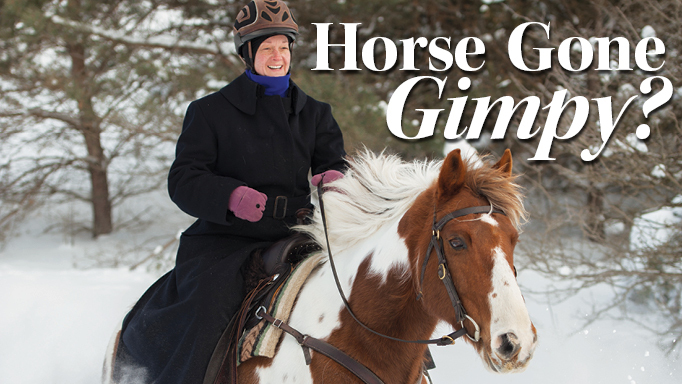 These facilities provide full-service care and treatment for injured horses – at a cost, of course. However, probably the most vital prevention practice is simply knowing what’s normal for poor Gimpy because early intervention can thwart injuries before they become too serious. Check his legs daily, feeling for heat, swelling or pain that can indicate a soft tissue issue problem. Also be aware of any odd missteps or behaviours. “Careful attention toward any changes in performance can be great indicators that your horse is uncomfortable and that it may be time to visit your veterinarian,” said Dr. Tuplin.